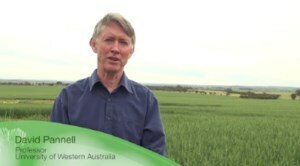 Pannell Discussions » Communication » Ideas in economics, environment, policy and more. Last week I checked out the comments that people have left about the free online course (MOOC) that I offer, called “Agriculture, Economics and Nature”. Some of the comments were so heart-warming that I thought they were worth sharing. They highlight what an amazing thing it is to provide things to the world on an open-access basis. Thanks to the internet, you can connect with, influence and help hundreds or thousands of people who you will never meet. The diversity of commenters, and their circumstances, is just amazing. My motives in preparing the MOOC were selfish (to attract students to our courses at UWA, to raise our School’s profile), but reading these comments gave me such a warm glow that it makes me hardly care about that aspect (although it clearly has been somewhat successful in delivering those selfish aims as well). It may seem like I’ve cherry picked the comments, but I promise that these are quite average in their enthusiasm. I’ve only tried to select the more interesting ones. I’ve edited out names and tidied some up a little, but not changed content at all. I am a 52 year old single mother, from Barbados. It is my intention to operate a herbal production and agricultural business. I took the course as I needed the knowledge, since the area of agriculture would be a new and unknown area of business for me, This course has started me on the road to gaining all the knowledge I need going forward, it has exceeded my expectations, since I did not realising how intense it would be. It was a real pleasure and great learning experience for me. I am truly encouraged. Based on what I have learnt, I can now understand how to apply all of it to my pending operation, it’s invaluable. I loved the structure of the course, the intensity, interest, delivery and concise method of explanation and teaching. I’m from Nepal. I recently completed my Masters in Plant Biology and Plant Biotechnology from India. I took this online course since I was idle at home, and also because I was curious about the title. I was pleasantly surprised by the richness of the content, and I appreciate your efforts profusely. I enjoyed ‘Pannell Discussions’. There, for the first time in my life, I came across the expression- “bang for the buck” (fascinating and crisp indeed!). I’ve been throwing that that expression around for sometimes. Thanks for this great opportunity to learn and gain insight about these complex but relevant interactions between economy, agriculture, and environment. I have learnt about a lot of complex theoretical models dealing with sustainable development, but written by bureaucrats or academics and usually not applicable on the field. This course was refreshingly down to earth, assuming realistic scenarios of limited funding, farmer’s basically economic orientation, and scepticism to change. Thanks for the course. I enjoyed it a lot – some new content, some refreshing old information, and an agriculture/farmer focus which was what I wanted and was new to me. It was well structured in bite-sized parts perfect for this type of learning. I also enjoyed the excel components, and in fact I have found some published studies I want to apply some of this mathematics to. I currently work in a freelance capacity, recently relocated to Vietnam, but from the UK where I previously worked for the Overseas Development Institute. I focus on the economic and policy challenges to achieving better climate and development outcomes. I have had many insights from your course. Wow. I have never really been an academic but have always tried and tried and tried again until I finish it. I am from South Africa and have moved here for my partner who is a country lad. I fell in love with the farming here and now I work for a fruit and veg company and I loved your course. I had to retake a lot but I have finally done it. Thank you! 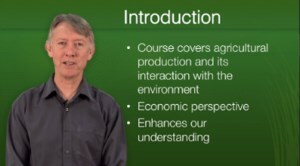 I very much enjoyed your course, which provided me a comfortable introduction to the wide spectrum of agro-eco issues, and dovetailed nicely with a microeconomics Coursera offering that I happened to be taking concurrently. 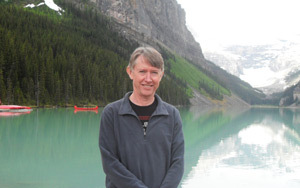 I am a geographer at University of California Santa Barbara. I am an Agriculture and development economics, doctoral student from University of Agricultural Sciences, Raichur. I have learnt a lot of new things in the course. I thank you for giving such an amazing enriching inspiring lecture. The references taken in the course were precise, perfect and appropriate and very useful links and pictures. Thank you once again. I work for an environmental NGO in California where we engage farmers to adopt more sustainable/resource conservation practices (e.g., habitat restoration, strategic water use) that are compatible with sustained levels of production. The course already sparked some questions that I have brought to my job, such as what do we actually know about the economic payoff of landscape-scale conservation. Thank you so much for the course. This was my first-ever MOOC and I’m glad I took it! I am much pleased to learn from your experience and knowledge. I am a BSc undergraduate (biochemistry) student of the Kwame Nkrumah University of Science and technology in Ghana. I am planning of venturing into Msc. Agriculture as graduate studies and that triggered in partaking this course because of how poor our agricultural system is gradually heading way into abyss and if measures are not put in place by right expertise, failure will eventually embrace us. Greetings from Rwanda! I would like to express my deepest gratitude for the ”Agriculture, Economics and Nature” course offered by the University of Western Australia on Coursera. I am now happy to have passed all the quizzes on the 4th of September with 79.4%, and received my Certificate. I will use the skills gained in my daily work. I am got the BSC degree in the field of soil science from the college of agriculture and forestry, Mousel University in 1979 and the MSC degree from the college of agriculture, Baghdad University in the field of soil chemistry (Salinity) in 1985. This help me in my job (Project director).I love the proposal of all subjects in this course. Finally I thanks professor david pannell so much. excuse me about the language. I really enjoyed the program. I wish I had a chance to say a proper thank you in person to you for the way you lectured. It was simple, precise and very resourceful. I am an agribusiness postgraduate student in NZ, originally from Cameroon. Worked in the bank as farm loan manager and then operation manager. I will be going off to King’s College London this September to study international development. I would like to say a big thank you for putting together such an interesting and informative course!! I learned a lot about current problems facing the agricultural industry and different agri-environmental projects both in a global and an Australian contexts (which is really cool since I have always wanted to live in Australia at some point in life!). I will definitely recommend this course to my friends! Hi, i am from Ghana. I am a young lady who wants to venture into the field of Agriculture. This six-week course has enlightened me on all resource available to farmers and how policies are put in place to help and motivate farmers. Every section was educative and self-explanatory. I am from Zimbabwe but currently staying in the US. I would like to take this opportunity to express my gratitude for your service. It was an interesting course and I really enjoyed all your lectures. I am an animal scientist, I have a passion for animals and agriculture as a whole. 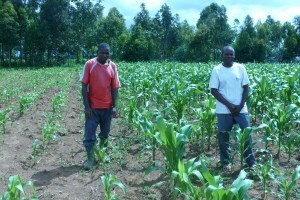 I wish to start my own agriculture enterprise because I can feel I am now well equipped with all the knowledge needed. Once again, thank you very much for such a rich and life transforming course. The course structure made participation an unforgettable experience; Professor Pannell expertly delivered lessons and the interview sections with stakeholders further underpinned everything taught. To Professor Pannell, I want to say learning with you has been a memorable one. First of all, I would like to thank you for giving me a great opportunity to learn more about economics in agriculture. I’m an agronomist, and I’m currently the Food Security Advisor for World Vision Niger. I’m so excited about the opportunity to explore the scope and nature of relationship between Environmental Governance and Disaster Risk Reduction. Thanks for going through the trouble of delivering this course online. 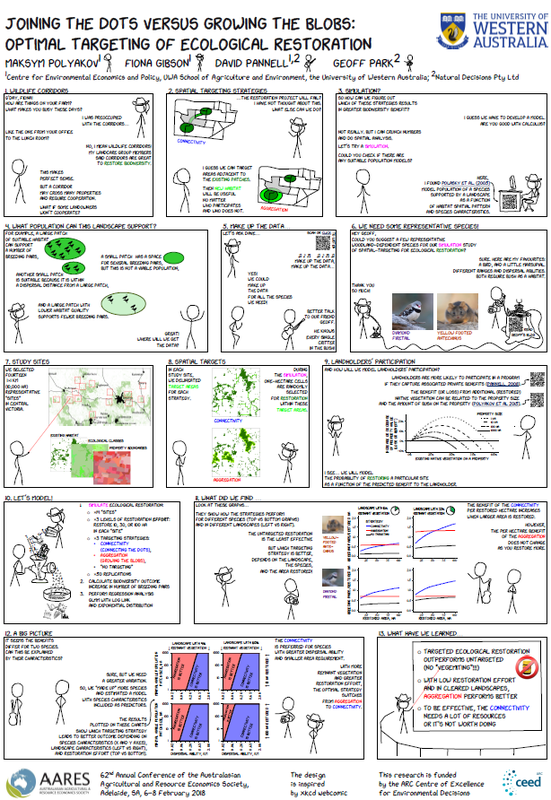 I am just finishing my PhD in environmental sciences at the moment and felt like I needed some perspective if I were to undertake research for agriculture in the future. A lot I learnt in this course, thank you. I work in the Agribusiness department of a commercial bank, and i took the course as one of the preliminaries to a Master degree in Agribusiness since my background is not in Economics. Prof Pannell made the teaching so easy to follow and understand especially the calculations and the graphs. i was so excited when i learnt how to calculate the discounting factor. This is my first experience in certificate online course and i find it very inetersting and a bit challenging too. Thank you so much for providing this course. I had learned a lot I had never known before. I’m an Au pair living in Virginia U.S. currently. I spent my free time after babysitting to finish the online course. I had an Agriculture bachelor degree which related to crop protection, and I had been working in a Fungicides company for two years before I came to the US. Meanwhile, I’m seeking the opportunity to work on some organic farms here. I will be working on a local organic farm from this month to next month. Thanks for laying out plenty of online resource about agriculture and this fantastic course. Thank you so much for the methodology used in this course. The questions and answer are very good they make you think very well. Even though I had problems with my internet during the course but I still got through. Thank to other contributors of the the program. Am looking to work on Food and Nutrition Security Using Urban and Peri-Urban Agriculture for a better livelihood for my PhD work. I hold a Masters Degree in Physical Geography from Free University of Berlin in Germany and specialized in Natural Resource Management. Many thanks for this really great course. I liked every section of the course, I really enjoyed all the relevant material and advice and those tremendous valuable tools! Thank you so much. Returning to Germany it will certainly help me in my new career here at ADRA Germany coordinating the department for Climate Change Adaptation and Renewable Energies. Many thanks for a really interesting and well-paced course, it was fantastic. I’m going to miss those slides and the music! For more information about the course, you could check out this video. You’ve probably heard of MOOCs (Massive Online Open Courses). They emerged in 2012 and have grown rapidly in number and popularity. Most MOOCs are free to do, are fairly short, and are provided by universities for public relations purposes. Around 2500 MOOCs have been offered on a huge range of topics. For example, I’ve participated in a MOOC on water management in cities and one on music production and recording. In late 2013, the University of Western Australia was approached by Yara Pilbarra (a local subsidiary of an international fertilizer company), who were interested in developing a funding partnership. Various possible initiatives were discussed over some months, but eventually it was agreed that I would lead the development and delivery of a MOOC titled “Agriculture, Economics and Nature”. An agreement was signed in August 2014. Since that MOOC was run in February-March this year, I’ve had a number of people asking about it. How much work was it? What was involved? Was it successful? Was it worth it? Here are some thoughts on these questions. First some general background about the course. Following discussions with an expert and looking at other successful MOOCs, I decided to make it a six-week course, based around a set of brief video lectures (5-6 minutes long, on average). The assessment consisted of a final exam of 60 multi-choice questions. It was pitched as an introductory unit covering a broad range of relevant and interesting issues. It was something of a sampler, not going into depth on any issue, but providing sufficient information to provide an initial understanding and spark interest. It required no prior background in agriculture or economics. I had in mind that it should be understandable to an intelligent year 12 high school student. Although I worried at times that I had made it too simple and superficial, the responses of participants showed clearly that I had not. Satisfied participants included at least one university professor and a number of post-graduate students. Thanks to the sponsorship, I was able to employ an assistant to work on collection of materials, preparation of the lectures and creation of slides. I also put a lot of time into this, of course, but the assistance was great. The money also paid for a much higher quality of video production than would have been possible otherwise. I think this made a real difference to the student experience. About a third of the videos were done in the studio, and the rest were outdoors at various locations, including on farms. Here are a couple of examples. Australia, Vietnam, United States, Kenya, Israel, Canada, India, Nigeria, Tunisia, United Kingdom, Brazil, Germany, China, Sri Lanka, Rwanda, St. Lucia, Philippines, New Zealand, Sudan, Jordan, Algeria, Benin, Greece, Ethiopia, Kazakhstan, Ghana, Venezuela, Colombia, Netherlands, South Africa, Georgia, Mexico, Bolivia, Bangladesh, Spain, Armenia, Costa Rica, Malaysia, Brunei, Slovenia, Thailand, Hungary, Sweden, Japan, Singapore, Zambia, Norway, Italy, Guatemala, Oman, Ireland, Tanzania, Nepal, Belgium, Zimbabwe, France, Kosovo, Uganda, Iran, Cameroon, Pakistan, Peru, Isreal, Egypt, Switzerland, Turkey. One general characteristic of MOOCs is that they have a high drop-out rate. Usually, the completion rate is 10% or less, so I was delighted that 23% of our students completed the final exam. And of course lots more students benefited by completing some or most of the course without doing the final exam. The amount of work required to create and deliver the course was significant. Here are my estimates of days required over the 18-month duration of the project. Most of the work happened during the 3-4 months of creating and videoing the course and then 6 weeks of running it. Despite the high level of effort required, I consider it to have been worthwhile. It has certainly succeeded in raising the profile of the School of Agricultural Economics and UWA, and many people reported being very interested in the content. A highlight was being recognised on the street in Perth by someone who had done the course! We have seen an increase in inquiries about our normal courses, and many respondents to the course survey expressed interest in receiving information about related courses that we offer. As a spin-off benefit, I have used a number of the videos in another unit I teach. The experience has also influenced my thinking about how to make regular teaching more engaging and interesting for students. The multi-media teaching methodology was excellent. I really appreciated it. Easily accessible information, presented in a format that was informative and also able to progress at my own pace. I learned that economics can be understandable. All the lectures were very informative. Being a student of agriculture in Bachelors and Natural Resource Economics in masters this course was very much useful for me from agricultural and environmental point of view. Looking forward to learn more. The videos were well prepared and presented. This is a very good strategy of teaching which included videos, slides, interviews and reading material. The resources provided were excellent. I have learnt a lot as a teacher from Professor David Pannell. The course structure builds up one’s knowledge from the very basic and progresses to more complex things. I very much liked the real life application with case studies highlighted like the Australian Wool crisis, the Gippsland lakes and also the interviews with real stakeholders. It makes one realize that it’s not just theoretical, this is something applicable to everyday life. The overall course layout, starting from basic and building up to useful examples and integrated knowledge around many different concepts. Lastly the interviews really did it for me. Real examples of people practising the theory. The course is well organised and I am sad because it is already finished. I would like to thank your great team. I appreciated the extent to which the professor was prepared to involve himself in the online discussions. I have undertaken many online courses, and professors are often absent from online discussions. The format and duration, not too long and not too short. We will offer the course again soon, no later than February 2016. To receive details of how to register, email mooc-are@uwa.edu.au. 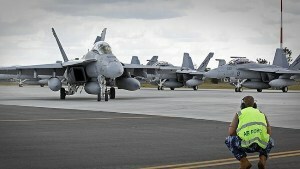 There is more information about the course available here: http://www.are.uwa.edu.au/courses/online. Many people, perhaps most, don’t know how to use hyphens with compound adjectives. It’s worth learning because use or non-use of hyphens can make a difference to how people interpret your meaning. I remember learning about various rules of grammar in school, but I don’t think my teachers ever mentioned the use of hyphens with compound adjectives. I suspect my teachers weren’t the only ones leaving this out, because it’s so common to see writing where hyphens are needed but absent. Perhaps it sounds like a nit-picky grammar-nerd sort of issue that people don’t really need to worry about, but in my view it is worth paying attention to. At the very least, good use of hyphens is a skill that can help make your text more readable. And in certain cases the omission of hyphens can change your meaning in serious ways. Here are some examples where hyphens avoid ambiguity, misinterpretation, confusion or just nonsense. A violent-weather conference is a conference about violent weather. A violent weather conference is a conference about weather, and the conference is violent. A small-state senator is a senator from a small state. A small state senator is a state senator who is small. Built-in cupboards are cupboards that are fixed into the house. Built in cupboards describes something that was constructed within cupboards. A first-aid post is a post that provides first aid. A first aid post is an aid post that is, in some sense, ranked first. What is going on? The hyphen is binding together the two words that precede the noun. When they are bound together, they apply jointly to the noun. First-aid is one thing. A small-state is one thing. These bound-together things are adjectives because they describe the following noun. (What type of senator is she? A small-state senator.) They are compound adjectives because they consist of two or more words. In most cases, omitting the hyphen(s) from a compound adjective doesn’t cause as much ambiguity as the above examples. However, it often does affect the reading process, as the reader has to spend at least a little bit of time working out from the context whether or not the first two words in the phrase are linked together or not. With hyphens in place, a reader can just whiz along without having to puzzle about how to interpret the words. I think it makes the process of reading more relaxing and enjoyable. If you’re excited by this stuff, you might like to know about some ifs and buts related to the use of hyphens in this way. 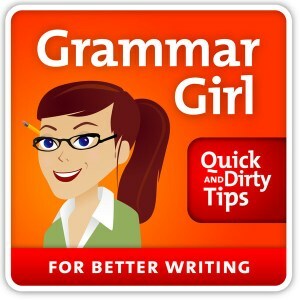 A compound adjective occurring after the noun don’t require a hyphen. I have a water-proof jacket (hyphen). My jacket is water proof (no hyphen). Sometimes a particular pair of words can be a compound adjective in one situation (requiring a hyphen) and a noun in another situation (requiring no hyphen). This is a long-run trend (with hyphen). This trend will continue in the long run (no hyphen). Multiple adjectives don’t need hyphens, only compound adjectives. In “an articulate intelligent person”, articulate and intelligent are two separate adjectives, so they don’t need a hyphen. If the first word in the compound adjective is an adverb (skilfully, happily, stupidly), don’t use a hyphen because it’s obviously linked to the next word. Finally, note that hyphens are not the only way to indicate that a set of words is a compound adjective. Here are some alternatives that you might prefer in some situations. Quotation marks: The politician flashed his “trust me” smile. In these cases, you don’t also need to include hyphens because it is obvious that the words in quotes, title case or italics belong together. Many government actions are tokenistic. They are too small to really make a difference, but they are pursued anyway. Why do governments do this, and how do they get away with it without provoking public anger? Listening to ABC Radio National’s breakfast program this week, I heard an interesting interview with Professor Hugh White from the Strategic and Defence Studies Centre at the Australian National University. He was arguing that the current response to the IS threat in Syria and Iraq is too small and constrained to achieve any significant impact on the progress of IS. What struck me about this argument was its similarity to my own argument about some environmental investments by governments. Starting with dryland salinity, I argued that our investment was spread too thinly across too many investments for any of them to be successful. Reinforcing this, the Australian National Audit office concluded that the level of change in land management in well-monitored cases was about one percent of the level needed to achieve stated targets. One question is, why do governments do this? The reasons probably vary from case to case, but I think there are two main factors. The first is, to be seen to be doing something. At least in some cases, the government realises that the funding allocated is woefully inadequate, but they proceed with the policy anyway because they think there is electoral advantage in being seen to be doing something, rather than nothing. So this is a cynical political motive. In other cases, I think the reason is ignorance, combined with a lack of evidence and analysis in the policy-development phase, combined with a tendency towards excessive optimism about the effectiveness of a proposed policy (PD213). That was the problem with the salinity policy. Lots of people thought it was a good idea to have a policy to combat such a prominent national problem, but very few people had enough knowledge of the science and economics of salinity to recognise that the policy was badly misconceived and would achieve little. The policy approach adopted was an evolution of earlier programs (the National Landcare Program and the Natural Heritage Trust) rather than one designed after careful analysis of what it would really take to substantially reduce the impacts of salinity. This second reason is, perhaps, less offensive than raw cynical politics, but it’s still terrible. Another interesting question is, how do they get away with it? Why is there not more public anger directed at these politically motivated or ill-conceived policies? Here are some possibilities. Complexity. The issues I’ve talked about are complex and multi-faceted. It can be difficult even for experts to work out what policy response would be most effective. Most people lack the expertise to judge whether any particular policy response will be effective. They don’t have the time or inclination to learn enough to make those judgements. They therefore trust governments to do what they say they are doing. Time lags. For some of these issues, the effects of current management would not be felt for some time – years or even decades in the future. By then, it’s hard to make the connection back to policies that were put in place previously, and judge whether they made a positive difference. Intractability. Some of these problems could be solved but only at exorbitant expense, while others can’t be solved at all in any practical sense. I suspect that governments sometimes recognise this and then implement the least costly policy they think they can get away with politically. Communication challenges. I was interested that, in her interview with Hugh White, the program’s host Fran Kelly did not pursue questions about the tokenistic nature of the policy, focusing instead on other issues. Perhaps she felt the argument was too complex or subtle to be comprehended by people eating their Weet Bix. Or perhaps she herself didn’t recognise its significance. Sometimes an underfunded policy does explode into political controversy because of its ineffectiveness, but usually they don’t. Normally, they drift along, spending money and going nowhere much. They might receive an adverse review from some government committee or inquiry, but governments tend not to respond substantively to those sorts of reviews if they think they can get away with it. Overall, policy tokenism is an understandable but regrettable aspect of our system of democratic government. It is hard to combat, but sometimes can be changed by outside pressure, either from the public or from vocal expert commentators.